Craig Zamary presented to the President of the Board and 19 Board Members at the Department of Education on Why Entrepreneurship Should be Taught in 1st Grade and built the case for his “Declaration of Entrepreneurship”, which is to enact Entrepreneurship Education in Grades 1-12, in classrooms in all 50 states across the United States in support of youth entrepreneurship education. This is a very exciting and critical time in our nation's history and the timing is now, to enact entrepreneurship education in our schools from Grade 1-12 so future generations will thrive in the global economy. 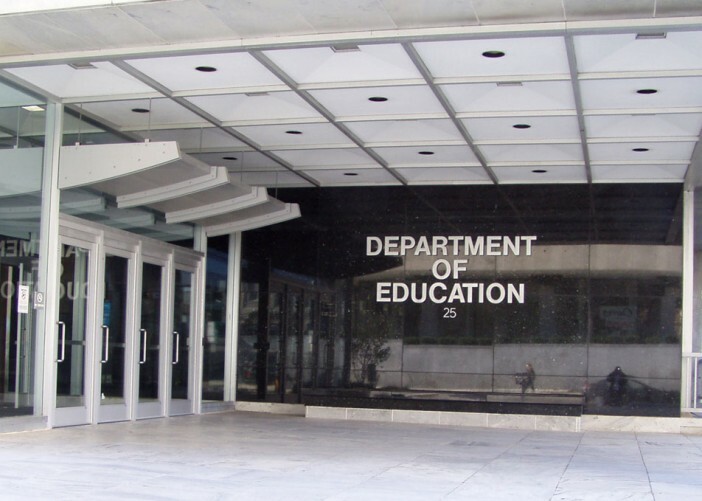 On March 8, Craig Zamary presented to the President of the Board and to 19 Board Members at the Department of Education on Why Entrepreneurship Should be Taught in 1st Grade. 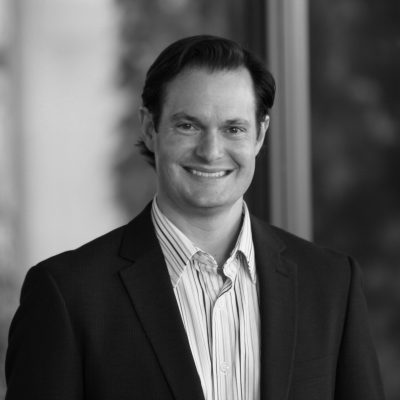 Craig built the case for his “Declaration of Entrepreneurship”, which is to enact Entrepreneurship Education in Grades 1-12, in classrooms in all 50 states across the United States in support of youth entrepreneurship education. The presentation began with his story that has already received national and international attention and recognition. Craig went on to show the powerful and supporting evidence from Harvard Business Review, EY, Gallup, U.S. Department of Education, U.S. Department of Labor, and the World Economic Forum, showing the global need for students to learn entrepreneurship at a very early age and how it will empower future generations regardless of the career path they choose in life. He also presented slides of young entrepreneurs across the US who have successfully launched their own businesses. Craig Zamary closed the loop on his presentation by reflecting on Thomas Paine’s “Common Sense” from 1776. Craig explained “In 1776, American Independence at that time was viewed as a very radical idea, and no one wanted to publish “Common Sense” for Thomas Paine. I stand here today, 240 years later and I am Declaring Why Entrepreneurship Should be Taught in 1st Grade to 12th grade. This is not a radical idea, in fact, its “Common Sense". The next step, Craig Zamary is working to move the youth entrepreneurship initiative and program forward with the Department of Education and hopes to oversee the building of a team to create, design and implement Entrepreneurship Education in Grades 1-12 in the United States. 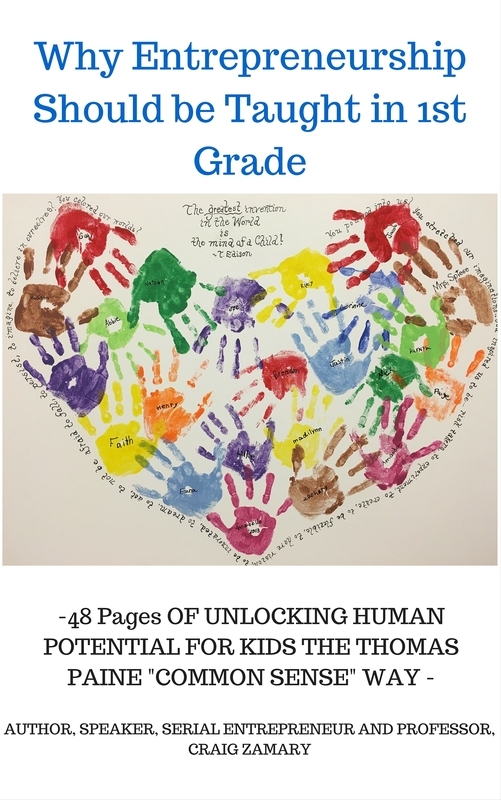 Why Entrepreneurship Should be Taught in 1st Grade 48 Pages OF UNLOCKING HUMAN POTENTIAL FOR KIDS THE THOMAS PAINE "COMMON SENSE" WAY This is a real life story that has received positive attention nationally and internationally. This story demonstrates the power of Entrepreneurship Education in 1st Grade and how having an Entrepreneur Mindset, is the key to unlocking Human Potential, regardless of the path you choose in life.